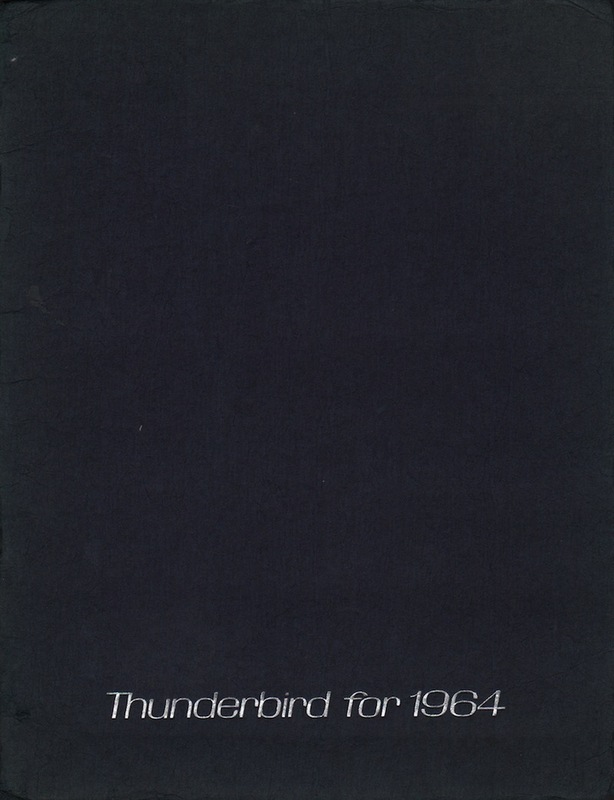 The 1964 Ford Thunderbird is offered as a 2-door hardtop or convertible with a hardtop upgrade package called the Thunderbird Landau which offered a padded vinyl roof with elegant "S" bar trim on the side and simulated walnut trim accents inside. 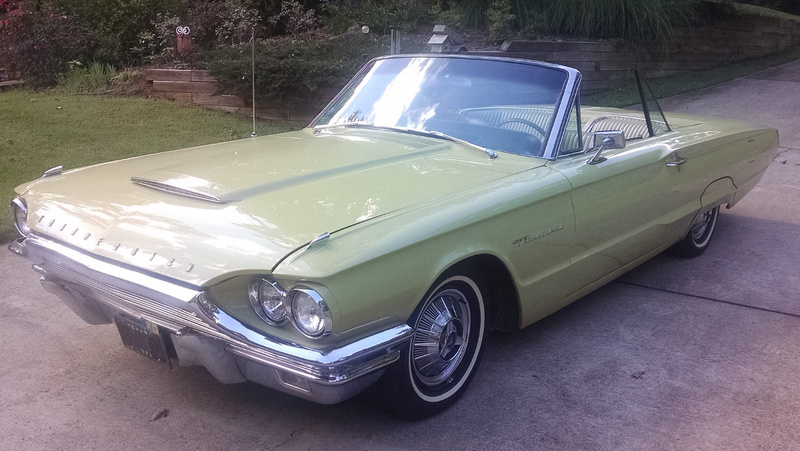 Parts of the 1962 Thunderbird Sports Roadster came back as a "Sports Tonneau" and 14 inch Wire Wheels for the convertible. The Sports Tonneau came in 8 colors, made of fiberglass and covered the rear seats when the top was down. Standard equipment included the 300hp Thunderbird 390ci V8, automatic transmission, power brakes, power steering, the new silent-flow ventilation system for the hardtops, tilt steering, remote exterior mirrors, adjustable front seats, retractable front belts with reminder light, center console, AM radio, heater/defroster, electric clock, door and glove box lights, trunk lights, backup lights, lighted ignition, and variable-speed hydraulic wipers (today's electronic intermittent wipers were a 1969 option).